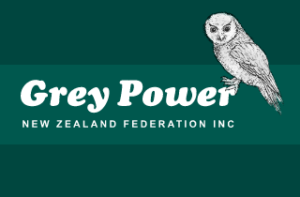 The RNZFB Board is the Trustee for the Sir Arthur Pearson Memorial Fund. Two RNZFB directors are appointed to sit on the Pearson Fund Committee, which meets monthly to discuss the day-to-day administration of the fund. Currently Peter Hoskin and Clive Lansink are the Board’s delegates. The Committee, including Peter and Clive, approved the recommendations which were presented to the Trustees. The current capital of the fund is $4 million, following an injection of $1 million approximately two years ago. The capital of the fund is not available for distribution. The Pearson Fund Committee had asked for guidance from the Trustees on applications from people employed for 30-plus hours per week on the basis that, hypothetically, applicants who are in paid employment should have access to more financial resources to fully fund, or at least partly fund, services or items they require. 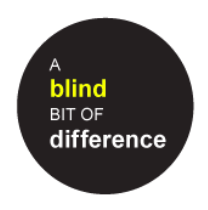 This poses a challenge for the Committee in how to determine financial hardship in situations where individuals are fully employed, given the key criteria for support is financial hardship as a cost of blindness. The RNZFB Board, as Trustee of the Pearson Fund, approves that persons defined as being in full-time employment can apply to the Pearson Fund and, as part of the normal application process, they would have to provide a financial disclosure (Assets and Liabilities form) that sets out their case for support based on the grounds of financial hardship. Full-time employment would be defined as a person working for 30 or more hours per week as either an employee, self-employed, or contractor. When hardship is noted by an applicant who is in full-time employment, this will be reviewed by delegated persons and a recommendation made to the full Committee, if considered warranted. The Committee is concerned that, with the introduction of smart devices and with upgrades moving so rapidly, clients will want the latest equipment. Whilst there was no specific recommendation from the Committee, the meeting suggested that the Committee includes a statement in the Pearson Fund documentation that clients need to look to the future and consider insuring their products and all the additional related costs when making an application, and that the Fund’s providing them with a particular product does not necessarily give a guarantee of an upgraded product in future. The Committee has been seeing more applications for accessories or devices, in addition to hearing aids, on the recommendation of an audiologist who will likely have a tie to specific brands and products. The Committee is not an expert on these types of devices and cannot make an informed assessment on whether the equipment is suitable for funding or not. The Ministry of Health’s funded equipment supplier, Enable, publishes a list of equipment considered appropriate for funding, which gives a degree of confidence that the product is well regarded. The Trustee approved, assuming the application meets all other criteria, that the Fund will usually fund equipment that is on the Enable list. Applications for equipment not on the list may require additional assessment. The New Zealand Government’s Disability Strategy 2016-2026 plans for New Zealand to become “a non-disabling society – a place where disabled people have an equal opportunity to achieve their goals and aspirations, and all of New Zealand works together to make this happen.” The Disability Action Plan, in which disabled people’s organisations are involved, will be the primary vehicle for implementing the Disability Strategy. The current four-year Disability Action Plan, 2014-2018, is set to be reviewed and updated in 2018. Watch for the update. The eight outcomes sought by the Strategy involve a focus on education; employment and economic security; health and wellbeing; rights protection and justice; accessibility; attitudes; choice and control; and leadership. The attributes and behaviours sought in leaders to carry the Strategy forward are: generosity, trust, authenticity, and a willingness to engage in deep conversations and critical thinking. The Deafblind Association strives to live by these principles. To find out more about the Strategy, go to www.odi.govt.nz and click on New Zealand Disability Strategy. 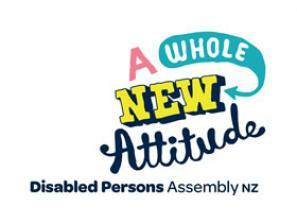 The social and rights-based approach to disability that prevails in New Zealand is based on the International Classification of Functioning, Disability, and Health (ICF, World Health Organisation 2001), and The Convention on the Rights of Persons with Disabilities (CRPD, United Nations Convention 2006). The CRPD recognises that disability is an evolving concept and that disability results from the interaction between persons with impairments and attitudinal and environmental barriers that hinder their effective participation in society on an equal basis with others. The Convention also seeks to promote and protect the human rights of all persons with disabilities, including those who require more intensive support. The ICF sees function and disability as a complex and dynamic interaction between the health condition of an individual and their environment. It accounts for personal factors; that is, the classification considers how an individual is able to interact with their world. The ICF allows for degrees of disability but it is not a measurement instrument; rather, it is a political tool often used for entitlements of one kind or another. The emphasis is on function rather than the condition or diagnosis. All aspects of a person’s life – their development, participation, and environment – are incorporated into the notion of functioning. Acquisition of life skills as in habilitation and rehabilitation are favoured over pin-point diagnoses. Emphasis is placed on the strengths of an individual and the assistance that they might need to participate in society, recognising the environmental factors that might hamper a person’s ability to engage with the world. The classification ranks limitation or restriction in mild, moderate, and severe categories. Definitions of hearing and vision loss or impairment are therefore less helpful than considering a person’s personal and family circumstances, time of onset, life chances, and available resources. 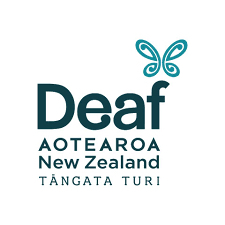 Government departments such as Work and Income and the Ministry of Health use the term “blind” or “deaf” to define a person whose degree of sight or hearing loss entitles them to special benefits. Hearing and Vision Services, Ministry of Health can help with the cost of hearing aids, cochlear implants, children’s spectacles, contact lenses, etc. Eligibility for assistance is governed by professional assessment. Related websites for government assistance include: AccessAble for people in the Auckland and Northland regions, and Enable New Zealand, which provide equipment and modification service for the rest of New Zealand. Free hearing and vision checks for children may be available from these sources. If your enquiries to agencies regarding assistance seem to fall on “deaf ears”, or responses appear vague, disinterested, or unreasonable, it may be worthwhile contacting your local Member of Parliament with your enquiry for support. What the 2013 New Zealand Census says about hearing and vision loss. The self-rating census survey defined hearing impairment as not being able to hear or having difficulty hearing what was said in a conversation with one other person and/or what is said in a group conversation with three or more other people, even when using an assistive hearing device such as a hearing aid. Vision impairment was defined as not seeing or having difficulty seeing ordinary newsprint and/or the face of someone from across a room, even when wearing corrective lenses. An estimated 484,000 people, 11% of the total population, were limited in their everyday activities by hearing and vision loss that assistive devices such as hearing aids and glasses did not eliminate. Hearing impairment affected 380,000 people (9% of the total population), and vision loss affected 168,000 people (4% of the total population). These figures don’t quite add up, but we get an idea of the prevalence of hearing and sight loss in New Zealand. 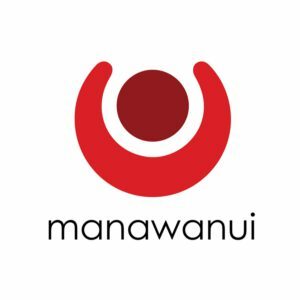 It is noteworthy that Māori and Pacifica have higher than average disability rates after adjusting for differences in ethnic population age profiles. Just over half of all disabled people (53%) have more than one type of impairment. For adults, multiple impairment increases with age. Well over than half (63%) of those over age 65 report multiple impairments. The main cause of impairment is disease or illness. For children, conditions that existed at birth were the most common cause of limiting impairment. 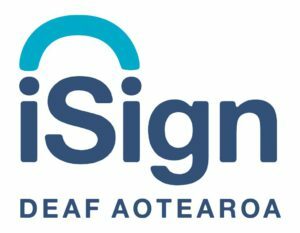 Submitted by Don McKenzie, Board member Deafblind Association NZ, November 2018.